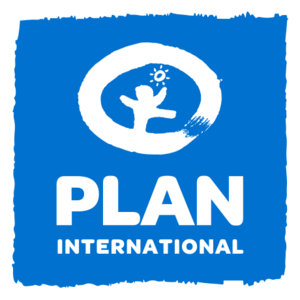 Plan International is an independent child rights and humanitarian organisation committed to children living a life free of poverty, violence and injustice. We actively unite children, communities and other people who share our mission to make positive lasting changes in children’s and young people’s lives. We support children to gain the skills, knowledge and confidence they need to claim their rights to a fulfilling life, today and in the future. We place a specific focus on girls and women, who are most often left behind. We have been building powerful partnerships for children for more than 75 years, and are now active in more than 70 countries. The role of Head Youth Economic Empowerment (YEE) is embedded in a national context in that is characterized by a high population growth, increasing annual numbers of young graduates and dropouts from education institutions entering the labour market paired with a low level of marketable skills and knowledge sets against a predominantly small holder agricultural economy in which private enterprises are faced with a myriad of constraints in their development. To achieve national socio-economic development goals it is imperative to design youth employment solutions that are not only both, supply- and demand-oriented, but also address systemically root causes that hinder youth transition into a chosen waged or self-employment and to become productive adults. Youth employment challenges are diverse and can only be addressed systematically: the low economic starting point of families is one key challenge. Unequal access to quality external resources and services like land, financial services, inputs, technology and training make it harder for families to generate income, build assets and develop the resilience to deal with shocks. Because resources are limited and life is lived on the margin, households would often inequitably allocate these resources between girls and boys, influenced by prevailing gender inequality and social norms. Harmful gender norms place young girls and women at a disadvantage and thus they tend to lack support from their parents and communities in accessing household resources for growth and development, and later on, education and training. Even if girls and young women had equal access to education and trainings, the quality and relevance is often not to the level as expected by the market and employers. Young people with low basic educational qualifications have limited options for training on higher level skills and other employability qualifications that could lead to better chances for decent work. Furthermore, existing trainings, education and other skills development programs are often not relevant to young people’s situations and may not be in sync with market demand. Consequently, many young people who do develop some capacity have little relevant skills and knowledge. In short, entrepreneurship, employability and empowerment solutions need not only to be designed in a gender transformative manner to address social and gender norms, but also by taking a systematic approach by look at economical, educational, and social constraints simultaneously. These interconnected challenges are reflected in the dimension of the post of Head of Youth Economic Empowerment (YEE) at Plan International Tanzania. The Head YEE is considered a leading expert in this thematic area with many years of hands-on project design and implementation experiences coupled with strong conceptual YEE programming skills. Presently the thematic area of Youth Economic Empowerment (YEE) is gradually unfolding and stands at a volume of 1.5 million Euro which is expected to increase significantly. Ensures that Plan International’s global policies for Child Protection (CPP) and Gender Equality and Inclusion (GEI) are fully embedded in accordance with the principles and requirements of the policy including relevant Implementation Standards and Guidelines as applicable to their area of responsibility. This includes, but is not limited to, ensuring staff and associates are aware of and understand their responsibilities under these policies and Plan International’s Code of Conduct (CoC), their relevance to their area of work, and that concerns are reported and managed in accordance with the appropriate procedures. - The Head YEE will engage with other thematic heads conceptually on Plan International Tanzania programming to provide inputs, reflections and support especially for YEE; programming. A pro-active regular engagement with other thematic heads is expected. - The Head YEE engages and works closely with Plan National Offices and especially YEE Advisors, Specialists and other relevant post holders to inform YEE programming, in particular to identify funding opportunities. Technical expertise, skills and knowledge. · Promotes a culture of openness and transparency, including with sponsors and donors. · Holds self and others accountable to achieve the highest standards of integrity. · Consistent and fair in the treatment of people. · Open about mistakes and keen to learn from them. · Articulates a clear purpose for staff and sets high expectations. · Creates a climate of continuous improvement, open to challenge and new ideas. · Focuses resources to drive change and maximise long-term impact, responsive to changed priorities or crises. · Evidence-based and evaluates effectiveness. · Seeks constructive outcomes, listens to others, willing to compromise when appropriate. · Builds constructive relationships across Plan International to support our shared goals. · Develops trusting and ‘win-win’ relationships with funders, partners and communities. · Engages and works well with others outside the organization to build a better world for girls and all children. - Typical office environment with at least 30% of travel to project locations. If shortlisted the interview will take place on 28th June 2018.